This is an unusual time as we witness many personnel changes taking place at the Learning Center. First, Angela is completing her final week as Executive Director of the Learning Center. She is leaving Copey on Saturday with our two Learning Center students heading to America. After their two week visit in our country, Angela and the students will return to Copey. Then, Angela boards another airplane to travel to China to fulfill a special teaching assignment. interest in the work of the Learning Center and her academic and professional credentials. 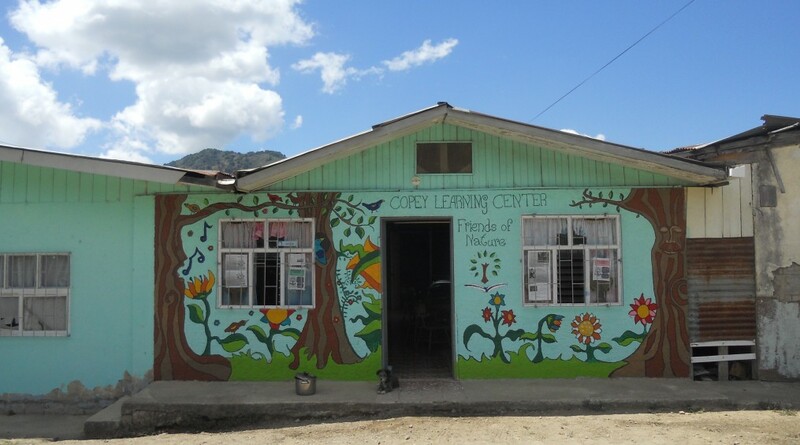 We, the “Friends of Copey” will continue our commitment to support the Learning Center and pledge to do what we can to help the Learning Center’s growth and success. Solana. Joe is a Peace Corps volunteer from Las Vegas, doing economic development work and volunteering as a teacher. Solana is from Kelowna, Canada and has studied in Ecuador and at the University of Melbourne in Australia. Both are joining Ana as the new education team taking over the leadership and educational challenges/responsibilities at the Learning Center. Finally, our two E&H college student teacher volunteers Casey and Xavier, will complete their service and depart Costa Rica on Saturday. Fortunately, all five of the travelers are booked on the same flight back to the US. I will meet Angela and the Learning Center students at E&H College on June 10th to welcome them to our campus. I look forward to finally meeting Angela and will be thrilled to see both of the students. committed people who could see the value of having E&H college students spending time in Copey and have Copey students seeing America and visiting a beautiful college campus. Dr. Gaia at E&H College headed up the team of campus supporters while Angela worked with both the Learning Center and the community to gain support. Our four students; Casey, Xavier, Celeste, and Noelia all had to compete with others to get selected to participate in this very rare opportunity. I can not begin to thank everyone, including the “special E&H donors” who provided much of the financial resources needed to get the Copey guests to America. I never have a problem explaining to others just how “Friends of Copey” actually works. It is very simple and very easy to see. “Friends” are just everyday people who spiritually, or physically, or financially demonstrate a desire to help others willing to help themselves. The development and implementation of these “pathways” is a very clear example of “Friends” in action. The best gift I can offer to show the gratitude I feel is to say…THANKS!